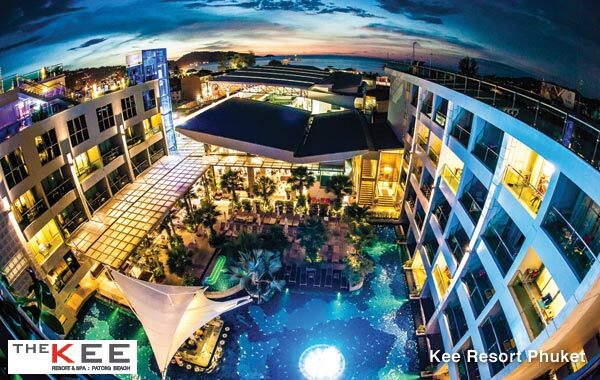 Golf Tours Abroad are proud to promote Kee Resort & Spa at Patong Beach Phuket Thailand. The Kee Resort is centrally located and only a short walk from the beach. 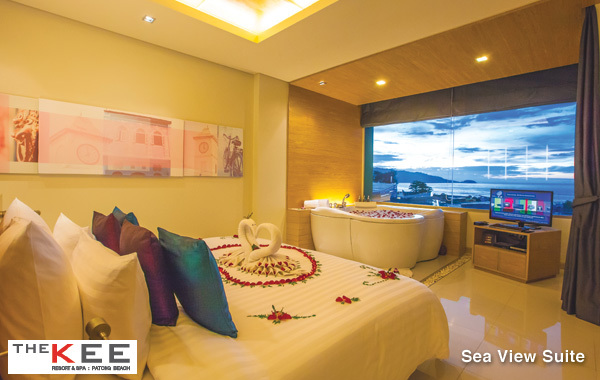 To read a detailed summary of the accommodation and facilities and view a slideshow of room types and other great features, visit our Kee Resort & Spa info post page. 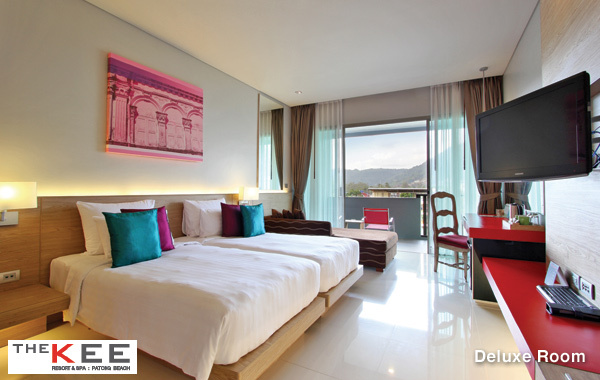 Kee Resort & Spa Phuket Thailand is a wonderful resort hotel to stay in when golfing in Phuket. 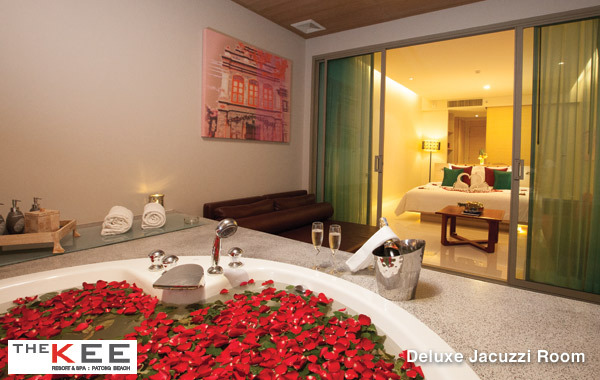 Golf Tours Abroad have included The Kee Resort & Spa in their Phuket Golf Holiday package. Other Facilities: Fitness Centre, Swimming Pool, Pool Bar, Kids Club, Games Room & Key Plaza with over 60 Boutiques, Shops, Restaurants etc. 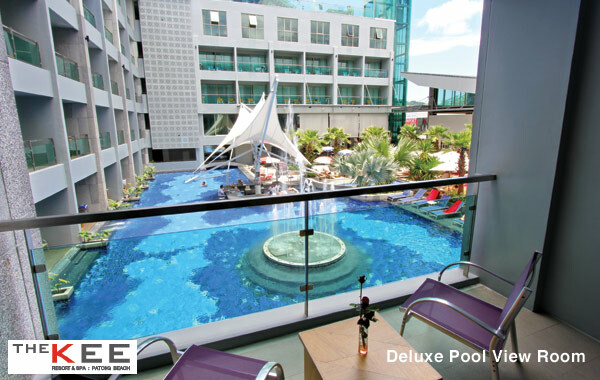 Golf Tours Abroad invites you to stay at Kee Resort & Spa in Patong Beach, Phuket. 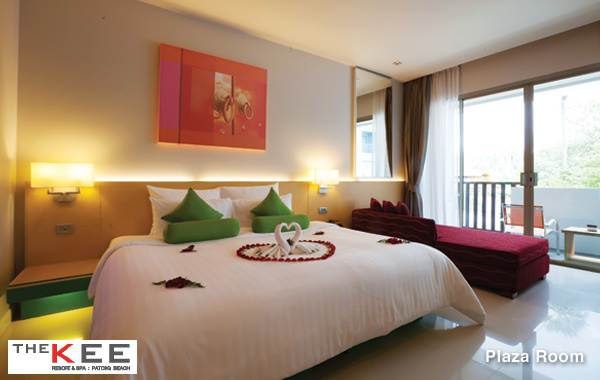 Located in the heart of the Patong Beach area, the resort is centrally located and a brief walk across to the beach. 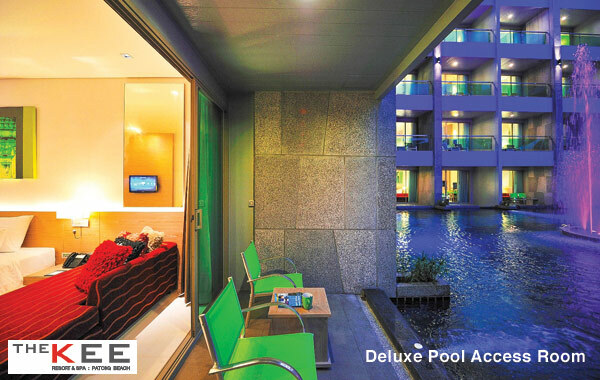 The Kee Resort & Spa has the following rooms: 26 x Deluxe Plaza Rooms (40m²); 60 x Deluxe City View Rooms (40m²); 108 x Deluxe Pool View Rooms (40m²); 18 x Deluxe Jacuzzi Rooms (48m²); 25 x Deluxe Pool Access Rooms (40m²) & 7 x Sea View Suites (80m²). The resort has all the facilities you’s expect in a modern hotel resort so you’d be hard pressed not to be happy as a guest. The stunning pool is a central showpiece that includes a swim-up bar and direct connection to 25 Deluxe Pool Access Rooms. The rooftop Sky Lounge is also a very popular attraction at The Kee. 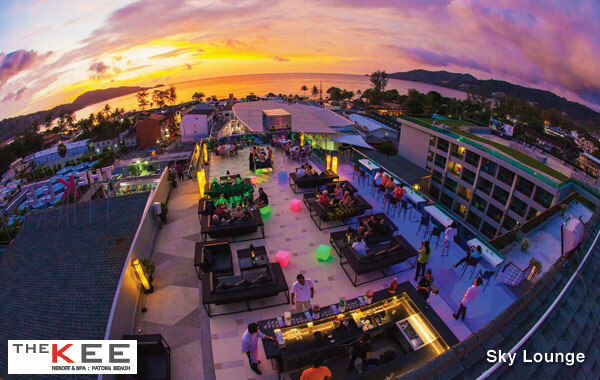 Sunset drinks looking out over the Andaman Sea is a great day to finish off your day and definitely the place to be seen. 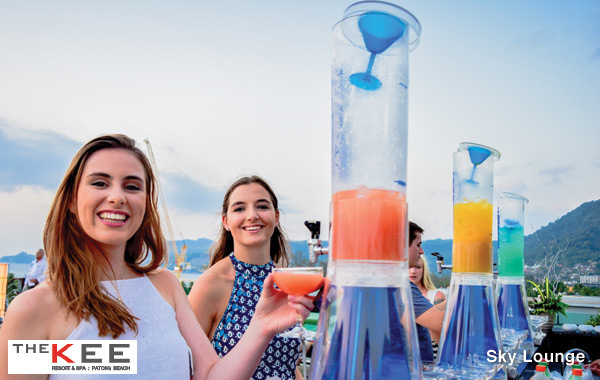 The cocktails at the Sky Lounge are divine and the bar staff make them just to your liking and you can choose from open-air or air-conditioned seating. The Sky Lounge also serves a beautiful selection of fusion style cuisine along the theme of East meets West. 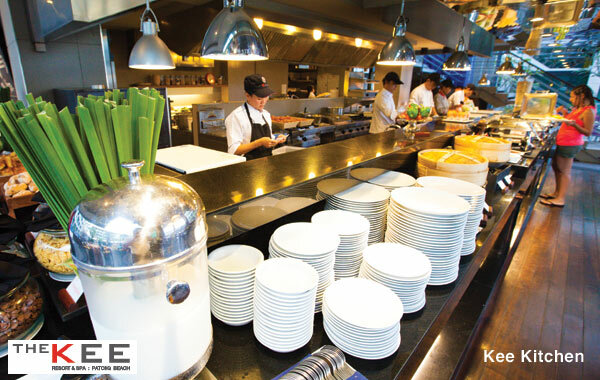 The Kee’s main Restaurant is called Kee Kitchen and the resort’s award-winning chefs prepare an extensive range of international dishes. Whether it’s in-room dining, restaurants, bars or case – Kee has you covered. If the pool doesn’t quite relax you, the Kee Spa has a wide range of rejuvenating massage and skin care treatments to sooth the mind, body & spirit. If you need to work during your stay, the Kee Lounge Business Centre can cater for all of your needs.